Matriskin is a fairly new skin care brand in South Africa but it is well known internationally not only for its ground breaking patented peptide ingredients but also for its dedication in research and development in the formulation of skin care products. Matriskin is a high-performance paramedical skincare system that tackles skin problems by treating imperfections such as fine lines & wrinkles, skin tone, skin texture irregularities, dehydration, sun damage and uneven pigmentation with high concentrations of active ingredients. Matriskin technology combines two patented molecules, polysaccharides and ceramides with peptides, obtained through cutting-edge biotechnological processes. The result of this unique combination is an extensive range of products that continually revitalize, protect and improve the structure of the skin. Matriskin has 3 different skincare categories. As the body’s first line of defence, a healthy skin will normally stop external irritation by repairing itself. Certain skins can become overwhelmed by external demands; irritation and dryness may then result in skin damage. Matriskin have developed solutions specifically for these reactive skin types. The Matriskin Enhancing Program fights against external irritants, the effects of climactic variations and the aggravating factors, which can cause redness. It protects the skin with an effective feather-light oil and cream that works together to create healthy skin equilibrium. Over the years our skin is exposed to a considerable amount of pollution, harsh climate changes and other stress factors. Resulting in premature dehydration, fine lines and uneven pigmentation. As the face ‘s first line of defence, the skin normally stops external irritation and repairs itself. sometimes it can be overwhelmed by external demands, however. Irritation and dryness may then result in skin damage, more than superficial cracks, callused skin and a feeling of general discomfort. The Matriskin Enhancing Program protects the skin with an effective and feather-light texture, giving it a fresh, more radiant appearance. Matriskin Revitalizing Program stimulates cellular regeneration, collagen & elastin production and improved skin texture. Leaving your skin smoother, more radiant, rehydrated and protected. Over the years, your skin is exposed to considerable irritation, a variety of problems and thus to considerable stress levels. Matriskin have developed the perfect solution for demanding skin. With daily use, the Revitalizing Program stimulates cell growth and restructures the skin’s texture, giving it a smoother appearance. It acts as a facelift, enabling your skin to be given lasting protection. Last, but not least is Matriskin Eye Care Program, which is based on active ingredients with proven efficacy to the biological needs of the skin around the eyes. Specific care for the contour of the eye: for your eyes only. With daily use, the eye-care program for the contour of the eyes significantly reduces signs of eye fatigue, puffiness and dark circles under your eyes. Matriskin, the brainchild brand of Dr Huet and his organization of 50 scientists from around the globe, is manufactured in France under strict EU guidelines. 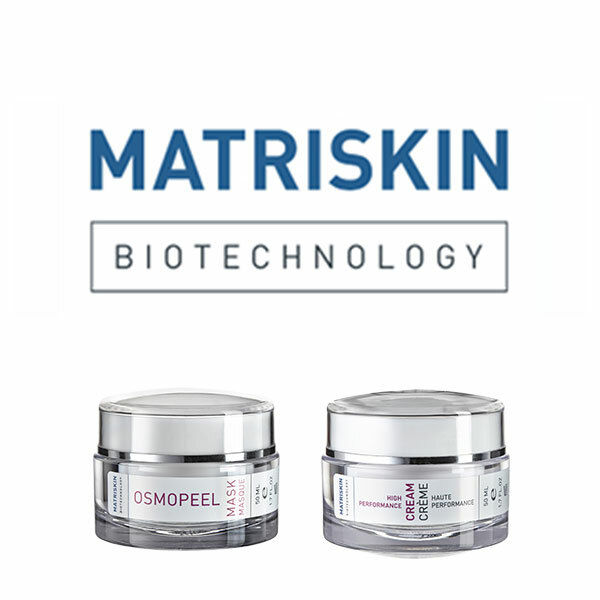 Matriskin produces enduringly effective skincare by constantly updating its patented formulations, while staying on the cutting edge of peptide biotechnology. The secret behind MATRISKIN is that they probably assimilate only the best actives available in dermo-cosmetics. They can be differentiated as functional or supporting actives. The functional actives release the effect and the supporting actives help to move the function to its targeted destination. These agents were selected to trigger activity in the appropriate cells and control biological objectives. Their tasks are to trigger specific functions into the desired cells with targeted messages. Our functional ingredients are carboxylic acids, Bioflavonoids, minerals, peptides, polysaccharides, proteins and vitamins. Our support agents act on various levels: integrity of the cell membrane (the cell protection), density of the cell membrane (provision of necessary functions in the growth and the doubling of the cell), storage in the endogenous synthesis (such as for example, cholesterol, hormones, etc. ), integrity of the skin layers (to facilitate the protection of the skin), as well as integrity of the hydro-lepidic film (to control of the moisture loss or release of specific components). The selected ingredients are vegetable oils, fatty acids, lipids and plant extracts. I hope the above has helped in understanding the Matriskin range and highlighted why the brand has been so successful internationally.